This is how I feel when I find the right pen. Just what I wanted. I’m sure you all feel the same way, complete with the elated expression and feeling. Now, it’s not just that gentleman in your life that will be delighted if you present him with a fountain pen, ladies have good taste, too! 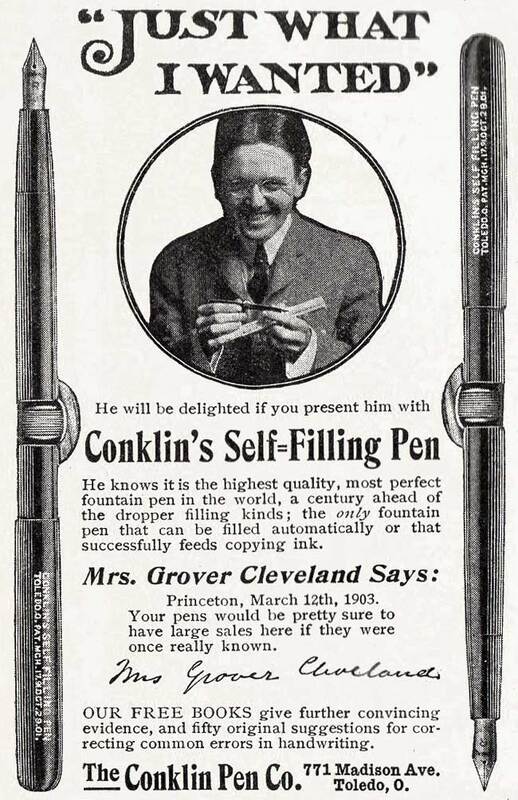 Celebrity-endorsed by Mrs. Grover Cleveland. Besides avid fountain pen users and connoisseurs, who endorses fountain pen usage nowadays? I sure do. December 5, 1903 issue of the SATURDAY EVENING POST.